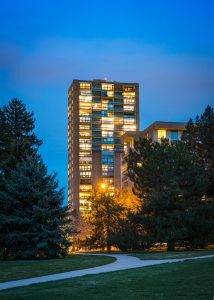 LIV Sotheby’s International Realty brokers Stacy Resop and Dan Fead present an extraordinary opportunity to own a rare, 2,816-square-foot corner condo that occupies two-thirds of a floor and offers unobstructed views of downtown Denver, the Front Range and Cheesman Park. 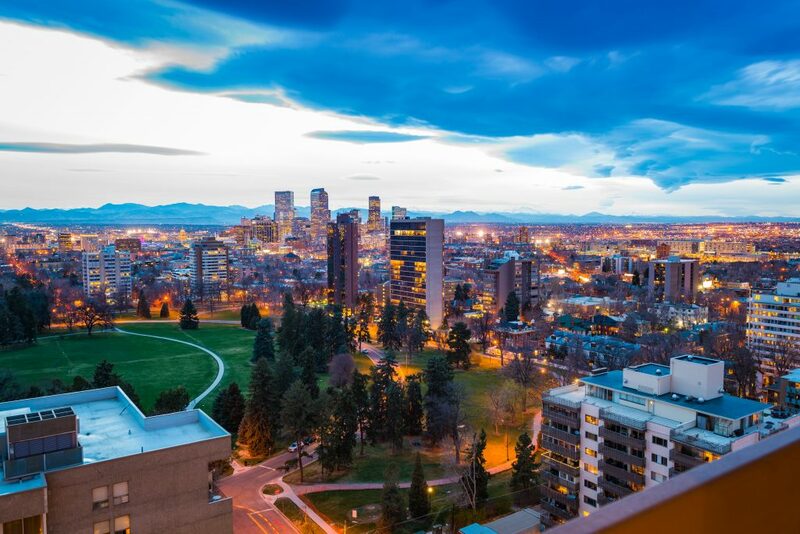 Ideally positioned in the southwest corner on the 21st floor of Cheesman Park’s tallest building, sits the light-filled three bedroom plus study, three-bath unit, which has been thoughtfully designed for entertaining. The well-appointed chef’s kitchen includes custom cabinets, stainless steel KitchenAid appliances, wall mounted double ovens, induction cooktop, sleek quartz countertops and an expansive center island that seamlessly integrates with the open dining, living and lounge spaces. A wood-burning fireplace with Chinese marble hearth—perfectly placed for all living areas to enjoy—is one of several iconic elements remaining from the 70’s Modern Architectural Movement. The incredible master suite boasts floor-to-ceiling glass sliding doors that open to a 40- plus-foot, west-facing balcony. Two additional guest rooms with expansive closets, and a double glass door study, which could be converted to a fourth bedroom, round out the open, airy floor plan. 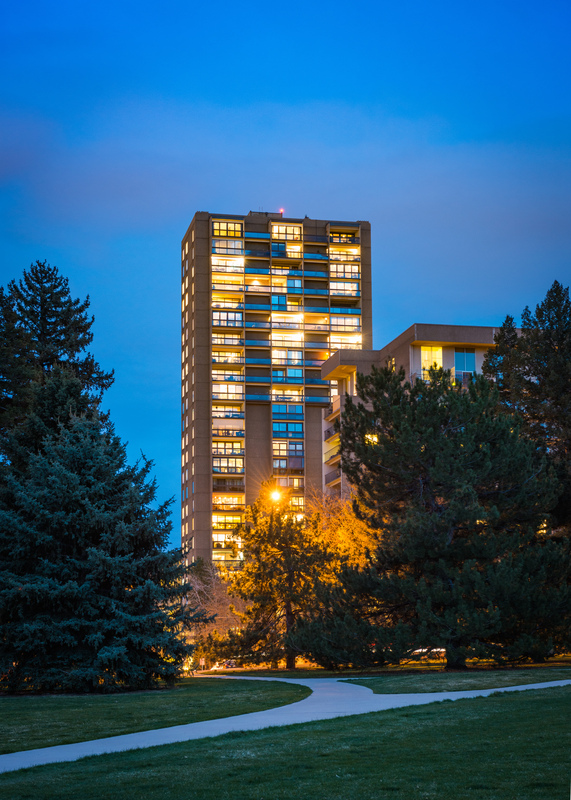 “Not only is this spectacular property located in one of Cheesman Park’s most regarded condominium buildings, it affords a zero maintenance lifestyle,” adds co-listing broker Dan Fead. “Residents can effortlessly entertain indoors, or head outside to the park and nearby Tattered Cover book store for coffee. Sie Film Center and the new Carla Madison Recreation Center are also steps away.” In addition to the unit’s two secured and heated parking spaces, the condo comes with a storage locker and unbeatable building amenities, including a lighted outdoor tennis/pickle ball court, indoor pool and hot tub, amenity room, recently renovated fitness room, and a lobby that hosts paintings by up-and-coming artists. For more information, contact LIV Sotheby’s International Realty brokers Stacy Resop at 303-506-3128, or Dan Fead at 720-300-9500. 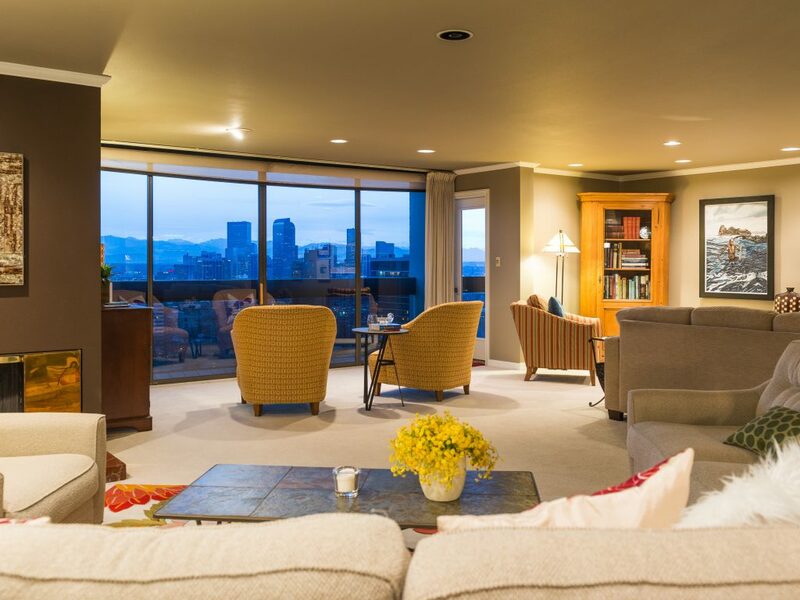 To list your home for sale with LIV Sotheby’s International Realty, please visit www.livsothebysrealty.com or call 303-893-3200.